Harry Rose, founder and chairman of The Rose Group, is a winner. In 2016, for the second year in a row, Applebee's named Rose its Franchisee of the Year. He also knows how to hire: also for the second year in a row, Bonnie Lippincott, his COO, was named Applebee's Operator of the Year. He's not doing too badly with Corner Bakery Cafe either. The brand named The Rose Group its 2015 Franchise Developer of the Year, and individual locations and team members were recognized by the brand for their outstanding achievements that year. And that's just the tip of the iceberg of the long list of honors bestowed on the company, which began with five Roy Rogers in 1985. Today The Rose Group operates 56 Applebee's, 9 Corner Bakery Cafes, and 2 Shannon Rose Irish Pubs, employing 4,500 people across New Jersey, Pennsylvania, Maryland, and Delaware. "It's an incredible recognition," says Rose, 72. "It's all about hiring the right people and giving them the challenge to execute. They carry on the culture I established 31 years ago." Before becoming a franchisee, Rose spent 20 years with Marriott Corp. Starting in Marriott's finance training program, he moved on to work in property management, legal, real estate, and finance. He then became controller for Roy Rogers, the fast food chain founded by Marriott in 1968, and was promoted to chief financial officer. In 1982, he moved to Philadelphia to head up the mid-Atlantic market, which included 27 Roy Rogers restaurants in Pennsylvania and southern New Jersey. During that time, Marriott bought the 300-plus-unit Gino's restaurant chain and Rose was placed in charge of converting them all to Roy Rogers restaurants. After two-and-a-half years, Rose had taken Roy Rogers from 27 to 156 locations. Although he helped the company achieve great success, his heart was in the operations side of the business. When he bought those five Roy Rogers restaurants in 1985, he'd been looking to buy 25. "I wanted to create something," says Rose. "This was the beginning of my career in franchising." In early 1990, Roy Rogers was acquired by Hardee's, and Rose read the handwriting on the wall. Hardee's featured Roy Rogers' most successful item, fried chicken, in its fast food burger model, but it didn't work. "Hardee's had tried to enter several Roy Rogers markets in the past and it failed every time," says Rose. When the restaurants started changing their name to Hardee's in the Washington, D.C., area, sales dropped 25 to 30 percent. The company tried switching from Hardee's back to Roy Rogers, but by that time customers were so confused it didn't work, he says. "I didn't do the switch with my locations, but they stopped advertising in the whole Northeast and our volume began to drop. We were up against Burger King and McDonald's, who were advertising like crazy. Our revenue was slipping, so it was obvious we needed to do something." What he did was start looking at other concepts, and in 1994 signed on with Boston Market and Applebee's. 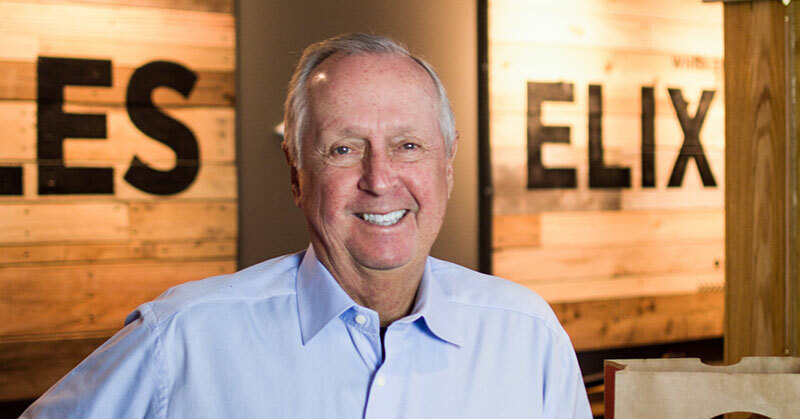 He built 16 Boston Markets in 6 counties in New Jersey, and 16 Applebee's in Baltimore. Rose says Applebee's in Baltimore was a challenge because the brand had pretty much penetrated the whole country--except for the Baltimore area, because of liquor license restrictions. "Independent operators were trying to keep chains out, so we decided to fight. We opened and tried to lobby to get more liquor licenses, and we won," says Rose. By 1996, The Rose Group had built the highest-volume Boston Market locations in the country, earning recognition as the franchise's top operator. Corporate was so impressed they bought back the 16 locations and asked Rose to develop their new brand, Einstein Bros. Bagels, founded the year before. Within 18 months, Rose had built 21 Einstein Bros. units in the Philadelphia area with high volume and solid operations. He says the concept worked because they had the right locations and the right demographic to support a convenient breakfast concept. In early 2007, The Rose Group became the first franchisee of Corner Bakery Cafe, opening in a shopping mall in Horsham, Pa. He bought three more locations in Philadelphia and (guess what?) became the brand's top operator. Although Rose has stepped back from day-to-day operations to spend more time with family (and work on his golf handicap), he's staying on top of industry trends like fast casual pizza and healthy food concepts, and looking to steer his company toward even greater success in the years ahead. Working for my father's business driving a beer truck. He was a beer distributor for local brands in Minersville, Pa. I joined Marriott right out of college. The year I started they were closing out their year-end in June as a $99 million company. What I learned at Marriott over the next 20 years shaped me and how I run our company. Some of the attributes I learned were discipline, detail to operations, and above all, customer satisfaction. Over 30 years we have built more than 100 restaurants including Roy Rogers, Boston Market, Einstein Bros. Bagels, Johnny Carino's, Applebee's, and Corner Bakery Cafe. We have always been leaders within the franchise concepts we operate because we assembled the best management team in the industry. How to differentiate ourselves from our competitors within the segments we operate. This being such a difficult time for restaurants, we need to focus on being the best operators in the neighborhoods we are in, regardless of the concept. To continue the leadership that we have in the concepts we operate, and to work hard at beating our competition. When I decided to leave Marriott and purchase restaurants from them after 20 years of service. The initial purchase was for five Roy Rogers, which was the beginning of my career in franchising. To hire Jeff Warden as my area director for those first five Roy Rogers restaurants. Since that time, Jeff and I have worked hand in hand on making The Rose Group what it is today. Earlier on in Roy Rogers when I saw that the concept was not going to survive, I didn't move fast enough to develop other options for the sites we had at the time. Not what it was when I was president and CEO. At that time my work week started with reviewing all the financial numbers in each restaurant, and then most of my time was spent figuring out how I was going to continue to grow our company. Today as chairman I still look at the financials every day, but I am not involved in the day-to-day activity. I leave that up to our President and CEO--Jeff Warden. I enjoy golf and work out with a trainer three days a week. Someone once told me that if you want to be a leader, make sure you lead by example--not by what you say, but by what you say and do. My passion is for all of my employees and their welfare, as well as for the guest experience in our restaurants. Today as chairman my life is more balanced than it has ever been. I am able to spend more personal time now supporting the charitable causes I'm passionate about. I have a soft spot for people who are less fortunate than I am. Trash and debris in the parking lots of our restaurants. When I was delivering beer as a young adult I was always fascinated with the restaurant industry and wanted to own my own. Always be the best and never give up. Define objectives and nurture people to help them achieve their goals. To ensure that all of the right people are in the right places to help the organization continue to move forward. As an entrepreneur with a vision and an incredible desire to succeed. I encourage them to look at different ideas as alternatives to the status quo. In my current role, I am more supportive than I am in the detail of our operations. A clear vision of the direction for the brand and the development of food that is relevant to our guest. We look for partners that are interested in the success of our business, not only their own. We have been fortunate to have long-standing relationships with vendors that have grown through the system with us, and have not only prospered from our success but helped us reach our goals. Yes. We needed to take a deep look into how we approach value and discounting instead of focusing on our great food and service. Historically we stayed away from getting into the discounting business, but we are finding in this economy that the consumer wants value and we are working on strategic ways to make value propositions profitable. Social media certainly allows for full transparency of our operations, which is mostly a good thing. It allows us to really understand the guest and their experience, which in turn gives us great insights on how we can improve, which is our top priority. From a social responsibility perspective, it helps us to share all the great community work our teams are involved in, and also builds affinity to the brand when our neighbors see how locally involved we are. Those decisions are up to our president and CEO, but as a practice we have always believed in promotion from within and we continue to do that when able, both in our operations and our administration teams. Our company is constantly training our new management as well as our existing team, introducing new programs that continue to develop our managers at all levels. We are proud to acknowledge one of the lowest turnover rates in the industry. Our company has policies, and each manager has objectives that are established each year. If someone is not meeting those objectives we will take appropriate action. Not being honest with me. To increase sales and improve profit margins over 2016. By overall sales and traffic increases from the previous year. We are constantly evaluating other franchise opportunities, and when and if we are comfortable with those we would look to expand through that vehicle. How is the economy in your regions affecting you, your employees, your customers? The consumer has many options in our categories, and right now in our markets they are not as confident in the economy as they were a year ago. Are you experiencing economic growth in your markets? No, and there is a saturation of restaurants in the category with the consumer having many choices. They are not dining out with the same frequency as they were a year ago. We are much more aligned with value as we recognize the guest is looking for that more than ever. Based on current market conditions, commodity pricing, availability of people, and the economy. There are many sources for capital in the marketplace, so that is not a current constraint. Experience with private equity, local banks, national banks, other institutions? Why/why not? We deal with national banks and people familiar with lending to restaurants. We are constantly looking for opportunities to enhance our benefit package, partnering with outside vendors to provide resources for discounts and other added-value programs. We always focus on looking for ways to improve productivity. Most recently we used tabletop devices for ordering and payment, but we are also looking at streamlining our kitchens to gain more efficiency. That is a constant focus for our company. We provide opportunities to have them give us their great ideas, we have employee recognition programs, and we have an annual celebration every year with our whole team to recognize our top performers throughout the year. I don't have an exit strategy. I love the business and plan to stay in the business.